If you want to look young, attractive and fresh, your main focus should be on your eyes. Dark circles, under eye bags, under eye lines can ruin your looks. So how can you take care of your eyes? The best solution is to keep your diet, life routine simple and take a good sound sleep. And the next thing as a beautician I would recommend is to use a good anti-aging or youth cream. And keep in mind not any other cream, go for cream with good ingredients and formula, preferably organic ingredients. One such cream I have recently been recommending is Super Youth Eye Cream. 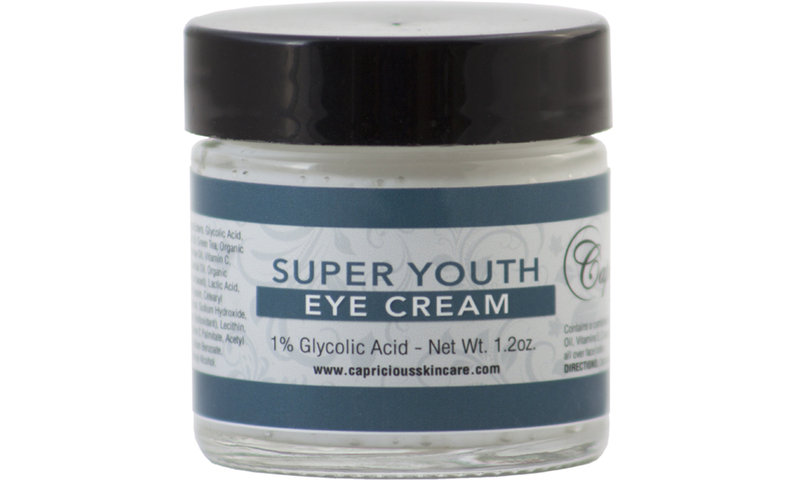 The best thing about this product Super Youth Eye Cream is the ingredients. Made with 1% Glycolic Acid, Vitamins E, C and K it’s the best solution for Firm, Hydrate, Reduce Puffiness, Soften Fine Lines and Wrinkles and Reduce Dark circles. Even though it’s particularly made for keeping your skin young and fresh but it can also be used as an overall face lotion. Being an organic product there are no chances of after effects. And price wise it’s reasonable as well and adding to this already affordable price they are giving 50% discount to our readers. So order now Just use this code seemi89 on checkout and avail that discount. Don’t forget to share your experience with our readers on our social media.